Jordan Brand will be releasing another International City Pack, which will include this upcoming Air Jordan 5 Paris edition, as a nod to PSG, Paris Saint-Germain Football (soccer) Club. Much like the Air Jordan 10 Paris from back in 2016. 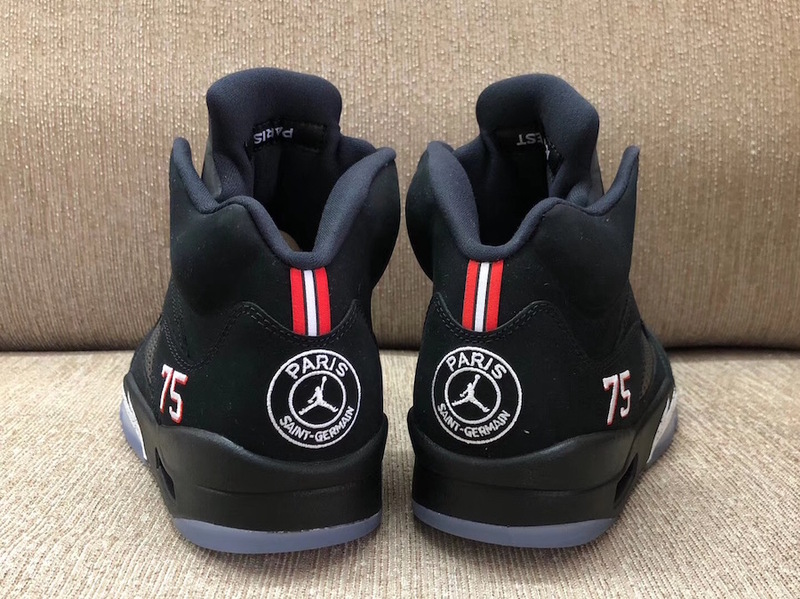 This Air Jordan 5 is highlighted with “Paris” text on the netting and number “75” stitching which refers to Paris’ zip code. Its upper is fully dressed in Black while sitting atop a translucent outsole. Look for the Air Jordan 5 Paris to release on September 14th at select Jordan Brand retailers and Nike.com. The retail price tag is set at $225 USD. There is an Air Jordan 1 releasing that also pays homage to PSG. UPDATE: Expected to release on September 14th via Nike SNKRS, here is a look at the entire PSG Collection from Jordan Brand – minus the Air Jordan 1 via BSTN. UPDATE: Nike releases official photos of the “PSG” Air Jordan 5 Premium. Listed for September 19th on Foot Locker Europe calendar. 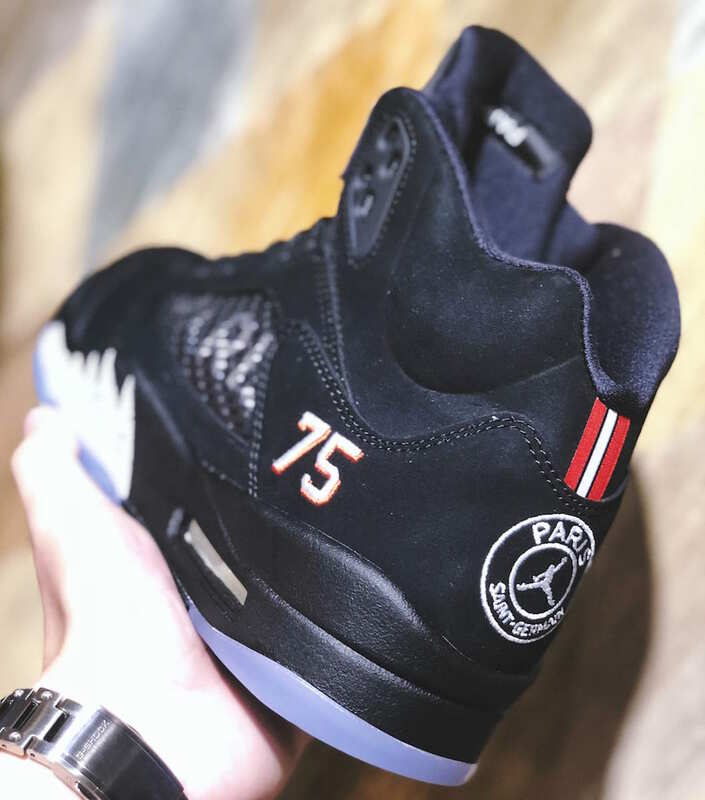 UPDATE: While we wait for an official release date, we did receive more information on the “Paris Saint-Germain” Air Jordan 5. According to SHOF, the release, dubbed the Air Jordan 5 BCFC, will retail for $225 USD. Photos via ylt_r3. 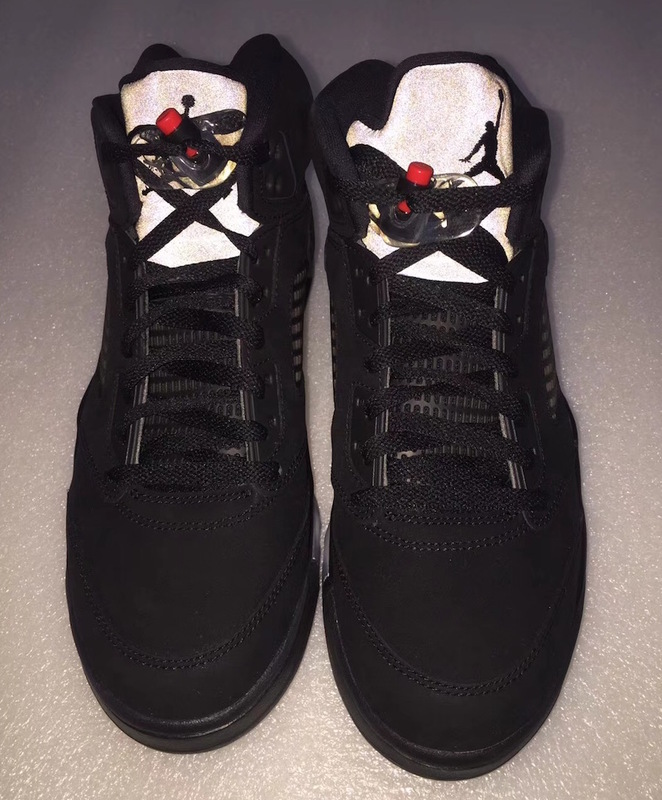 UPDATE: New photos of the “PSG” Air Jordan 5 via us11hustla. UPDATE: According to 2muchsol3, the Air Jordan 5 “Paris” will be limited to only 40,000 pairs. We’ll keep you updated on release info. UPDATE: Detailed look at the Air Jordan 5 “Pairs” as a nod to PSG, Paris Saint-Germain Football (soccer) Club. Photos via LN5factory.